Gaming in February saw me play 18 games of 15 different titles, 5 of which were new to me. The new games were Bezzerwizzer, Thebes: The Tomb Raiders, Bora Bora, Famous Forehand and Construction Zone. I added six new titles to the collection and sold twenty three. The new additions were A Fool’s Fortune, Thebes: The Tomb Raiders, Coup, Famous Forehand, Famous 500 and Mice & Mystics. My unplayed games list increased slightly to 23 this month and game of the month was a close call between two games. 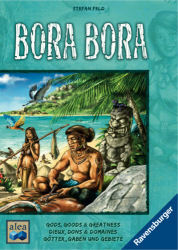 In the end, Pax Porfiriana just lost out to the new Stefan Feld game, Bora Bora. I have another batch of games on Ebay where the auction ends tomorrow. Perikles, Poseidon’s Kingdom, Sorry Sliders, Colosseum and lots more avaialble. Full details here. 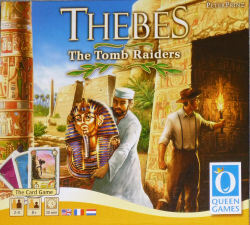 Thebes: The Tomb Raiders is a card game version of Jenseits von Theben (or Thebes, in English) the boardgame, both published by Queen Games. This is a brief write-up of how the game plays after one three-player session. Iâ€™m assuming some familiarity with the boardgame but hopefully it will be understandable to someone who hasnâ€™t played before. The players are archaeologists who are gaining knowledge about four archaeological sites with a view to conducting excavations at the sites to gain treasure, which can then be displayed at exhibitions or sold to museums. Each of these gain you VPs as does making speeches (congresses) about your expeditions. The game comes with a small board, the main purpose of which is to show the time track, reflecting the amount of time you spend researching, excavating, exhibiting etc. It also has spaces on which the various card types should be placed. There are 168 small game cards, 22 large excavation permits, four excavation charts to show how many artifact cards you can draw when you excavate, based on your level of knowledge and how long you commit to the dig; four time markers and a couple of help cards showing the distribution of of artifacts at each excavation site. Players start with one excavation permit for each site plus one wild permit in a four player game (slightly different set-up with fewer players) and this limits the number of times you can dig unless you are able to acquire extra permits during the game. The small game cards are a mix of artifact cards in four colours (each colour representing a different site); expertise cards (books of knowledge about the four sites); exhibition and museum cards (which you can claim if you have the right combination of artifacts); professor cards (which give an end-game bonus to whoever has the most knowledge about each site or overall); congress cards (giving end-game points based on the number of congress cards you have collected); and action cards which can be played to give a one-off benefit. With the exception of the five professor cards, the remaining 163 cards are shuffled into one large draw pile and cards are played to the board. Artifact, exhibition and museum cards are played to their relevant spaces as they are drawn and as soon as there are four expertise or action cards in play (placed on the four storage spaces in the centre of the board), the game begins. A playerâ€™s turn consists of taking one action: Take a card, play an action card from your hand, or conduct an excavation. These actions will consume time and you move your time marker the number of weeks forward indicated by the particular option you choose. 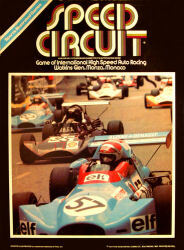 As in the board game, the person who is furthest behind on the time track takes turns until they overtake the person who is directly in front of them. Early on, youâ€™ll be taking cards from the storage spaces to build up your knowledge or to gain action cards for later use. Knowledge is placed face-up in front of you; action cards held in your hand until you choose to play them. Storage spaces are refilled at the end of your turn but, as the deck contains artifacts, exhibitions and museums (which are played to their relevant spaces), several cards may be drawn before the storage space is refilled. Once youâ€™ve got sufficient knowledge about a particular site (colour), you can launch an excavation. This involves cross-referencing the amount of knowledge you have with the number of weeks you wish to dig for, to determine how many cards you can look at from that particular site. If I have 5 red knowledge and I want to dig for 5 weeks, I can look at 3 red artifact cards. If these show treasure, I keep the card; if they show rubble, Iâ€™m unlucky and return the rubble to the relevant coloured artefact pile. The more knowledge you have and the longer you dig for, the more cards you get to look at. Importantly, the sites may start with no artifact cards, as they are drawn progressively from the draw pile so you need to judge how long to wait before you launch an excavation and youâ€™ll only get to visit each site once or twice unless you pick up action cards that allow an additional excavation. There are five types of action cards and these are played from your hand instead of taking a card or launching an excavation and cost an amount of time specified on the card. The General Excavation Card allows a further excavation at any of the four different sites; the Scientist allows you to look at all the artifact cards of a particular colour; the Assistant gives you an additional knowledge point for an excavation; the Thief allows you to take one artifact card at random from the colour matching the Thief Card; and the Tomb Raider allows you to pick an artifact card of your choice from the colour excavation matching the Raider card. Once youâ€™ve got a selection of artifacts, you can claim as a Take a card action an Exhibition card matching the combination of coloured artifacts you have. You can also get rid of low valued artifacts for higher valued Museum cards, again as a Take a card action. Professor cards can be immediately taken once you have at least four knowledge for a particular excavation, or one professor is awarded once someone has ten knowledge overall. However, if someone overtakes your knowledge level, they steal the Professor card. The game ends as soon as the draw pile is exhausted. A playerâ€™s score is then the sum of the points shown on his artifact cards, Exhibitions, Museums, Professors and Congresses (these give points based on the number of congress cards you possess: 1, 3, 6, 10, 15, 21 or 28 if you have all seven). You also get 1 point for every three weeks less time you spent than the player who spent most. Highest total wins with ties broken by least time spent. The box says the game takes around 30 minutes. That would be quite a challenge in my view. Our first attempt took 90 minutes after the rule explanation. 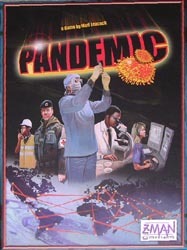 2008: Pandemic got its first play this month. This brilliant co-operative game about ridding the world of four virulent diseases before they get out of control remains as good today as it did in 2008 – and there’s a new version out this year. 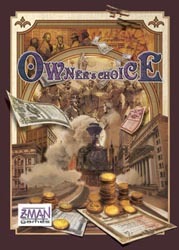 Owner’s Choice is the only other game that struck me as fairly innovative this month, a game where you can really be nasty to other players. 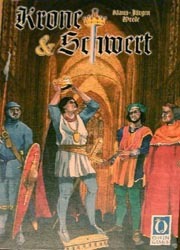 2003: Not much this month although Klaus Jurgen Wrede’s Krone & Schwert was an interesting departure from Carcassonne, although I sold the game some years ago. 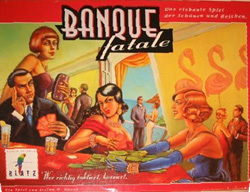 1998: Fifteen years ago, Banque Fatale was a nice light betting game byÂ Stefan DorraÂ and Katzenjammer Blues was one of Reiner Knizia’s great little card games that he released at that time. 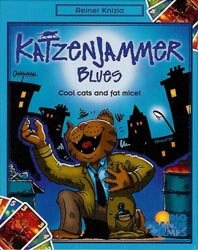 Not played it for years but I’m sure it still holds up well today. 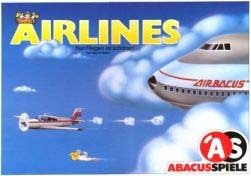 1993: As well as Liar’s Dice and Acquire, my first month at the games club also introduced me to the original Airlines and the classic race game Speed Circuit. In January, I played 23 games of 19 different titles, 9 of which were new to me. The new games were Rory’s Story Cubes, Keyflower, Sherlock Holmes Consulting Detective, Around the World in 80 Days, Copycat, Pax Porfiriana, Saint Malo, Boggle Slam and Cluedo Suspect. I added five new titles to the collection and sold four. The new additions were Pax Porfiriana, Cluedo Suspect, Boggle Slam, Monopoly Millionaire Deal Card Game and Battleship: Hidden Threat. My unplayed list dropped to 20 games and my choice for game of the month was Sherlock Holmes Consulting Detective, although Pax Porfiriana may have taken it if I’d played a multi-player game (maybe this month).